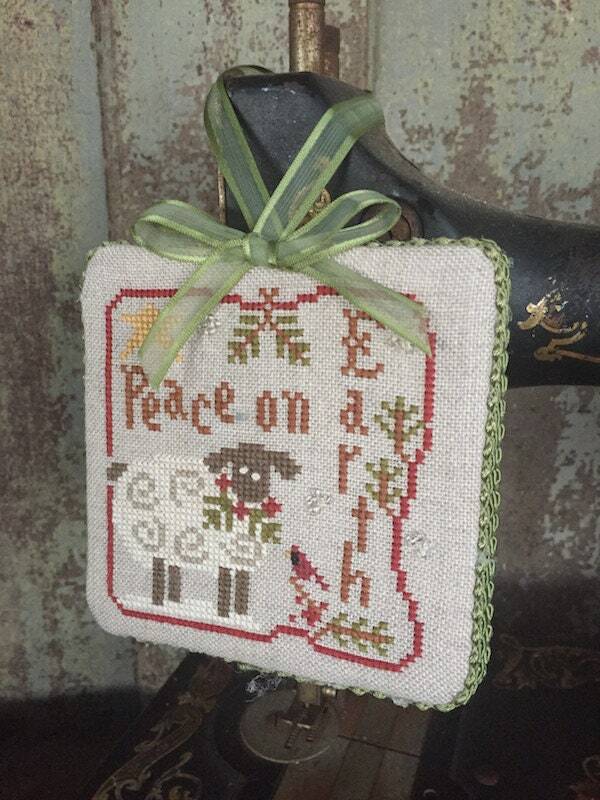 done on antique linen with a braided trim and sheer ribbon loop hanger. This is a new handmade store sample from our shop. Has only been shown in a glass cabinet. 4" x 4" x .5"w (not including hanging loop). Its colors are antique linen, sage /olive green, brown, dark red, cream and clear beads sewn on for snow. 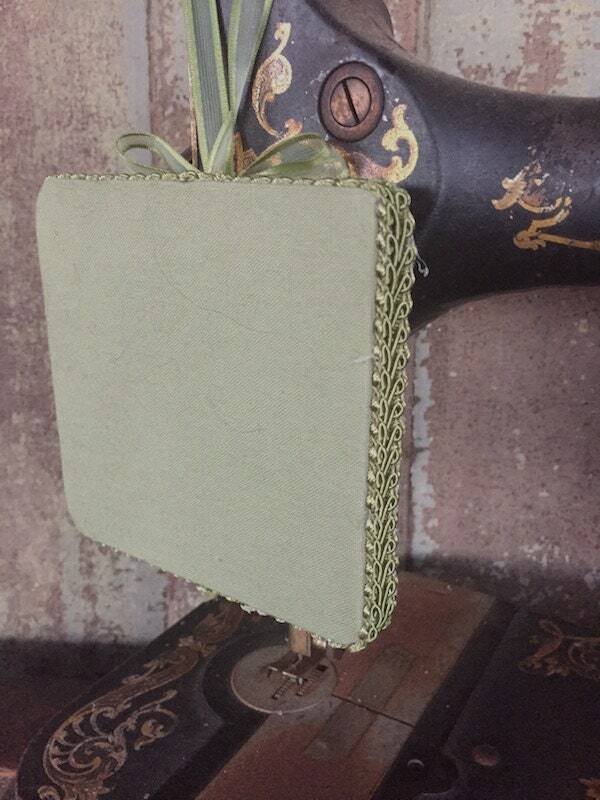 Back is made with a fine solid sage green cross stitch fabric also. 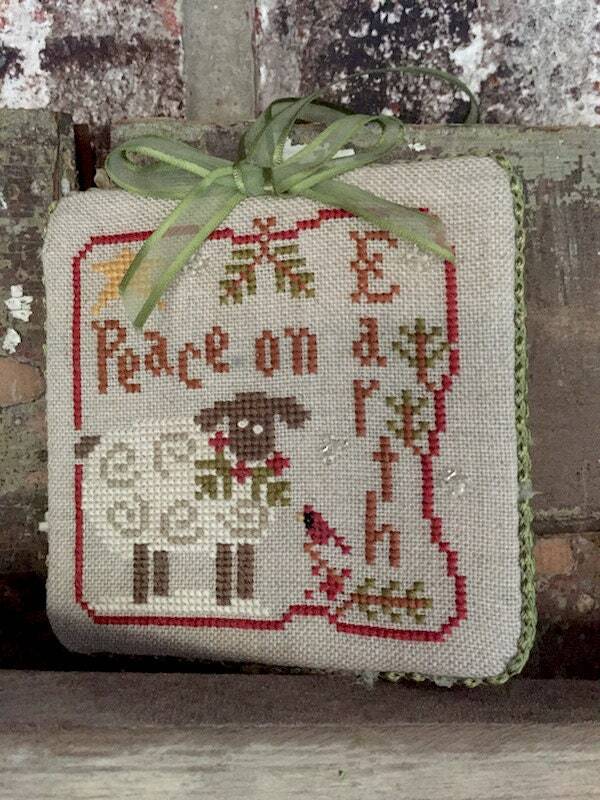 for any stitcher's collection and a perfect Xmas gift too! 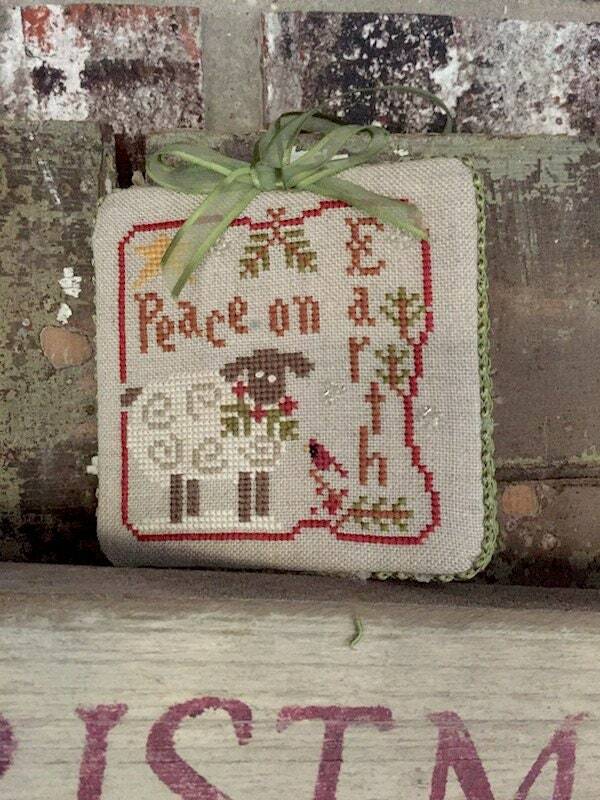 Cross stitched with cotton floss on Linen.